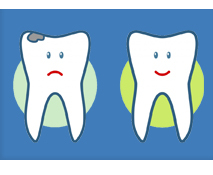 At Sidky Family Dentistry we work hard to provide you with a very high level of dental care in an extremely relaxed atmosphere. In our dental office, the décor is very soothing (that’s what all our new patients say!) and we have the latest digital x-rays (including a full view panoramic x-ray) to provide our great patients with the least amount of radiation they can ever get from x-rays! This, in addition to, a big screen TV in the waiting room area and a 26’’ TV in every treatment room gives our patients a calming atmosphere while the work they need is being done. What's new @ sidky family dental? Are you one of the millions of adults in need of adult braces who are unhappy, self-conscious or even embarrassed of your smile? 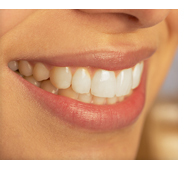 Now, there is an effective, safe and affordable cosmetic braces solution that fits your lifestyle. The six month smiles short term ortho system provides a practical solution for adults with crooked teeth utilizing unique clear brackets and tooth colored wires. Six month smiles is typically less expensive than traditional braces, aligner therapy, or veneers, it takes average treatment time of only six months and provide the most conservative and predictable final result. At Sidky Family Dentistry you will enjoy your dental experience while fulfilling the needs of your whole family, from children (1+ years) to seniors. We are very conveniently located on Prairie Center Drive across the street from Sears in the Eden Prairie Center. We are in the same strip mall as the Original Pancake House and the Eden Prairie Library. Teeth whitening (In-office and take-home trays). 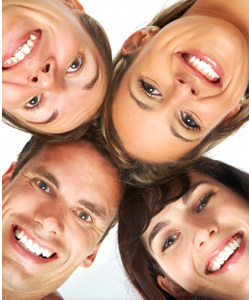 Our goal is to make your dental experience so pleasant that you recommend Sidky Family Dentistry to all your friends and family. Please give us a call at (952) 405-8838 if you have any questions or would like to schedule an appointment, we would be more than happy to assist you. © 2009 Sidky Family Dentistry. All rights reserved.